Years ago Cooking Light had a recipe for Jamaican Banana Bread. It was so delicious! I made it all the time. When I owned my tea room Afternoon to Remember in California we were famous for our Jamaican Banana Scones, an idea I came up with based on that banana bread. 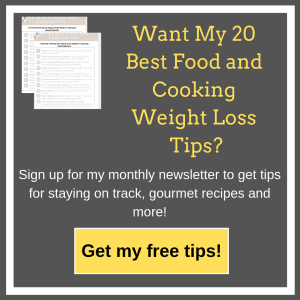 Now that I’m a Weight Watcher, I created a healthy low point Jamaican Banana Bread Mini Muffin recipe (which you can also freeze) to control your portion size. The topping is what makes them special and unique but they are good without the topping as well. Interestingly enough because I cut out some of the butter on the topping, it’s the same amount of Freestyle Smart Points with or without the topping. 2 Smart Points per mini muffin. 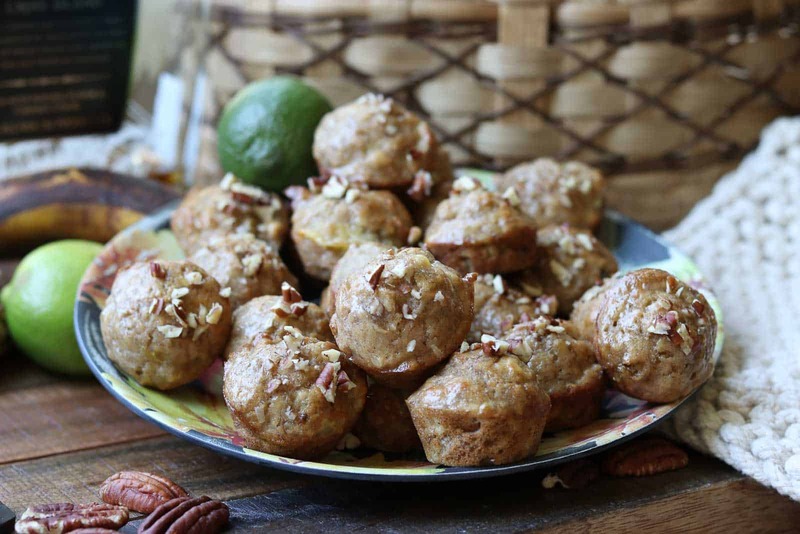 It’s the Jamaican topping that makes this healthy banana mini muffin recipe so special. This recipe makes 36 mini muffins so you can eat some, give some away and freeze the rest for later. Preheat oven to 350°. If you have a convection oven, use this setting. Grease 36 non-stick mini muffin tins with cooking spray. Or bake them in batches, be sure to grease each time you use the pan. In a small bowl, mash the bananas. Set aside. In a medium bowl, combine flour, baking soda, salt, zest and cinnamon. Set aside. In a large mixing bowl, cream butter and sugar with a wooden spoon. (Not enough batter to drag out the mixer). Add eggs, vanilla, rum, apple sauce and bananas. Add flour mixture and combine just until mixed. Do not over-mix. With a tablespoon (or I use a small ice cream scoop), drop about 3/4 T. of banana mixture into the muffin tins until 3/4 full. Bake for about 10-13 minutes until done and a toothpick inserted in the center comes out clean. Cool in pan for about 3-5 minutes. Then transfer to a wire rack. Mix topping ingredients together. Microwave just until butter is melted. Stir well. Drizzle topping over warm muffins. 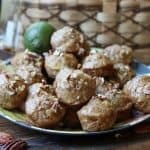 These Jamaican Banana Bread Mini-Muffins freeze well. Allow to cool, then flash freeze on baking sheet, then transfer to bags. Tip on bananas: If you have over ripe bananas on the kitchen counter, throw them in freezer for later use in banana bread muffins. How to Use the Instant Pot - I'm Scared to Death and Need Help! No Replies to "Jamaican Banana Bread Mini Muffin Recipe"